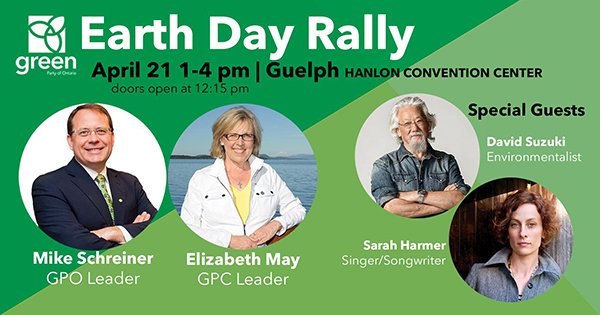 Join Mike Schreiner, Elizabeth May, David Suzuki, and Sarah Harmer at the Earth Day Rally in Guelph! Space is limited, so make sure to RSVP today. Click on the button below if you have a vehicle and are willing to share rides, or if are looking for a ride to the Earth Day Rally. Click the blue car icon if you are a driver.